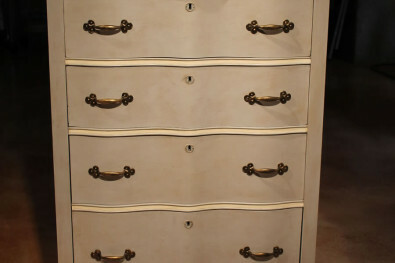 This is a great new dresser with lots of texture and special hardware to complement the piece. 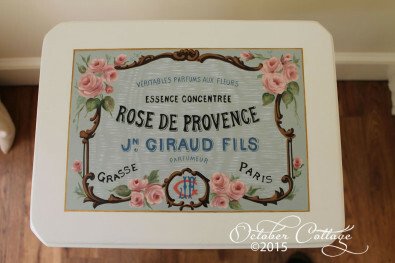 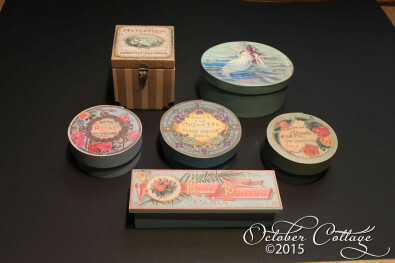 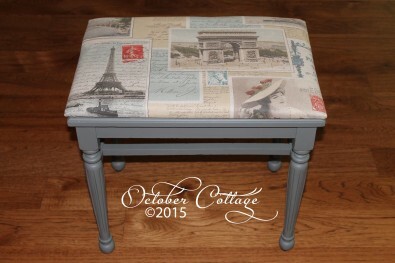 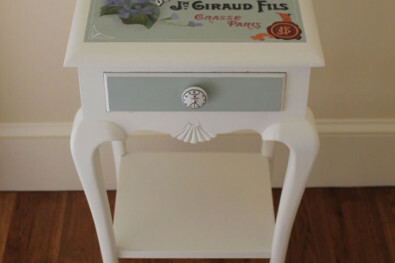 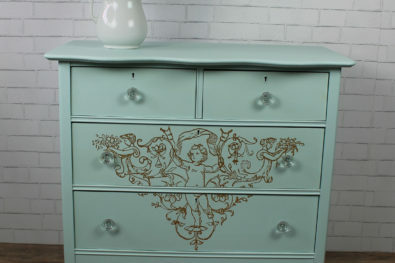 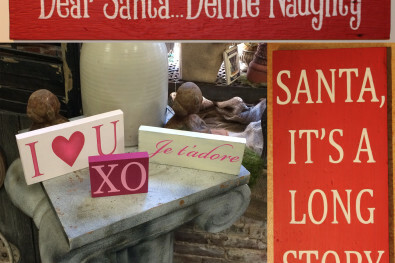 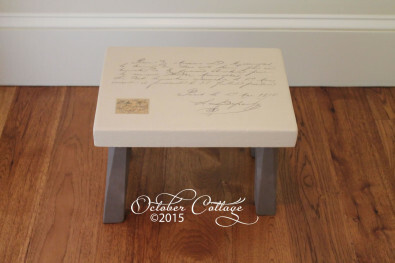 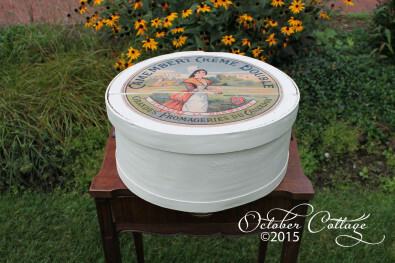 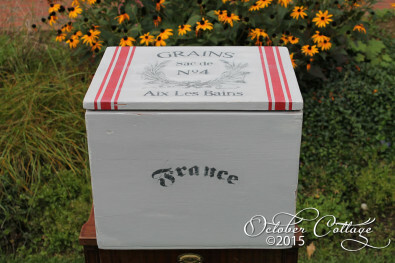 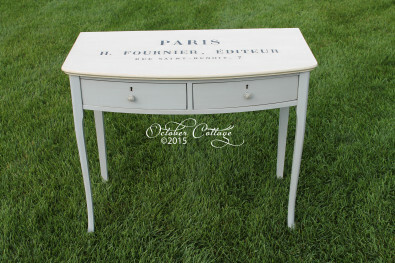 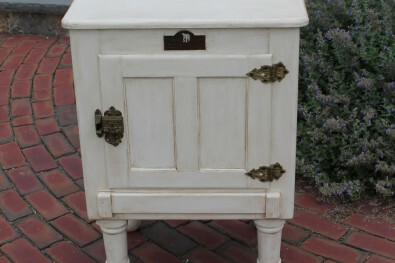 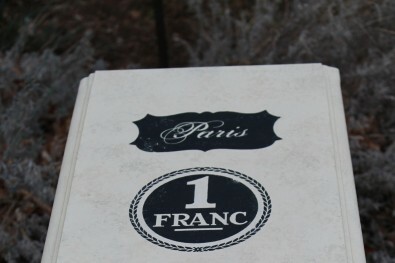 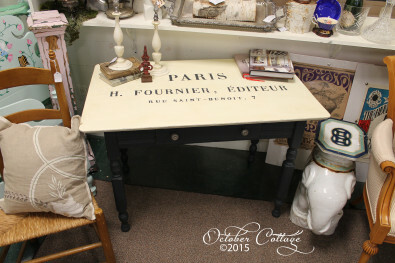 A beautiful French address embellishes each of the drawers. 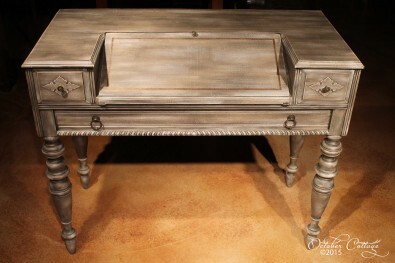 It measures 36W x 18D x 34H. 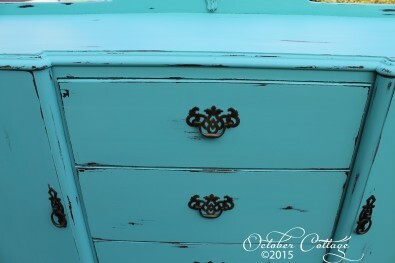 A dresser like no other! 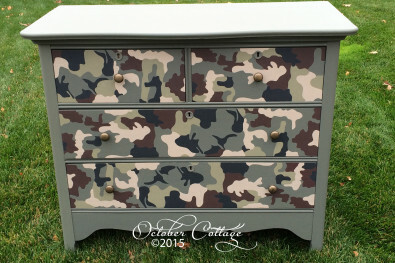 Hand-painted "camo" design, with a surprise of stars within the drawers. 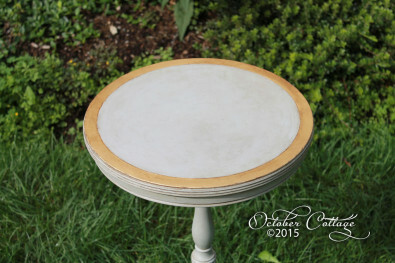 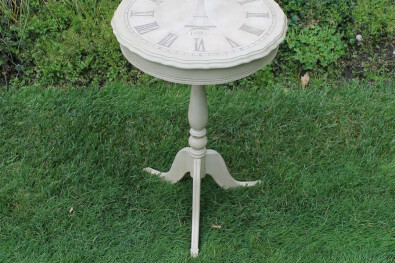 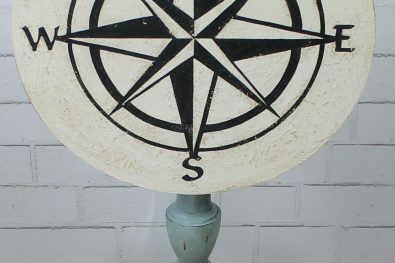 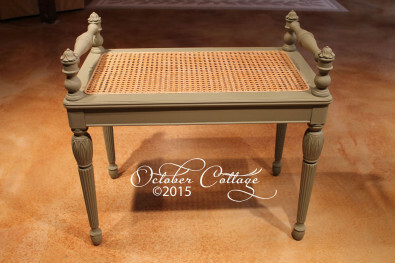 This vintage piece, made in the USA in the 19th century, and hand painted in Newburyport in the 21st century, has the fine structure you cannot find in contemporary pieces. 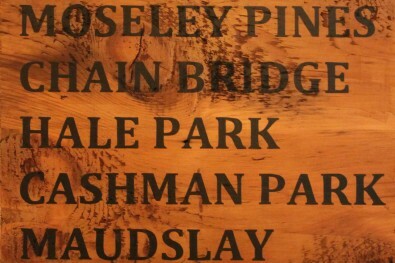 Pin and cove construction dates from 1870-1890. 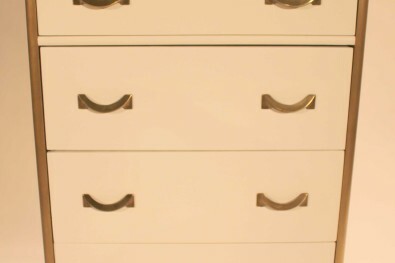 Meticulously cleaned and sealed for a like-new interior. 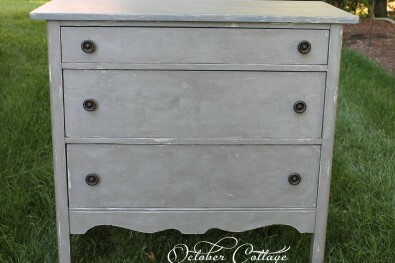 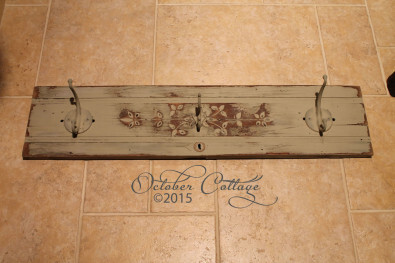 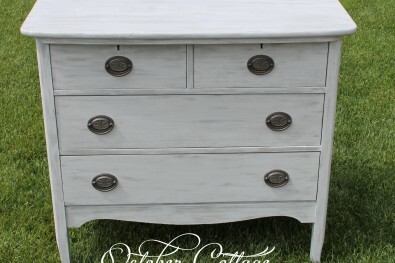 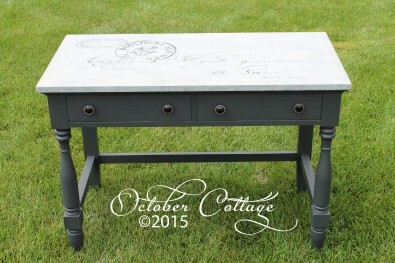 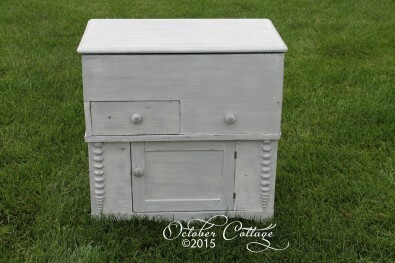 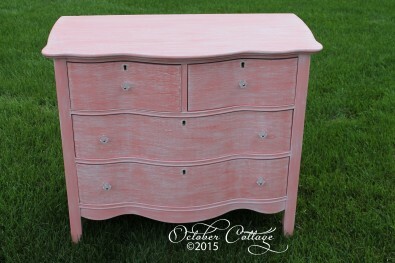 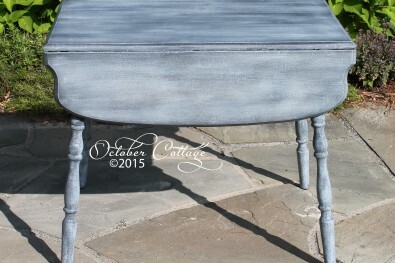 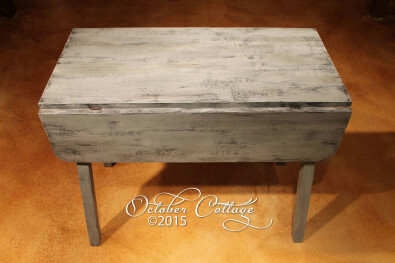 As with all October Cottage pieces, this dresser is one-of-a-kind. 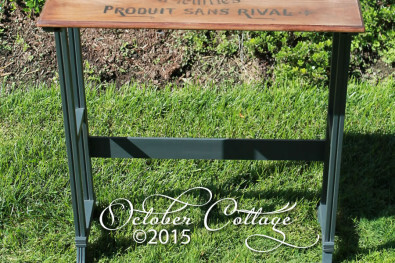 This bench was made by Gary (with lots of help from Jim!) 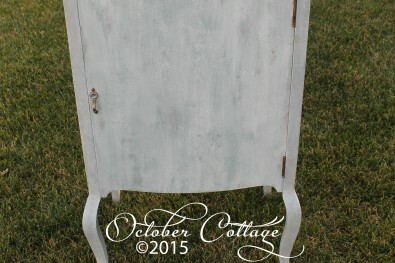 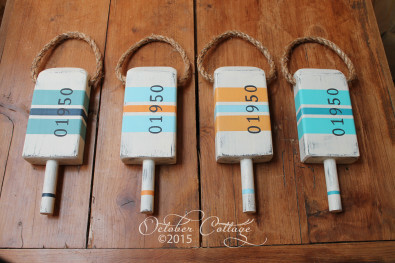 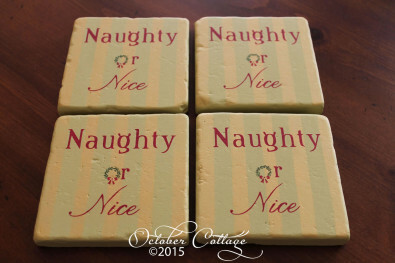 in the October Cottage wood shop. 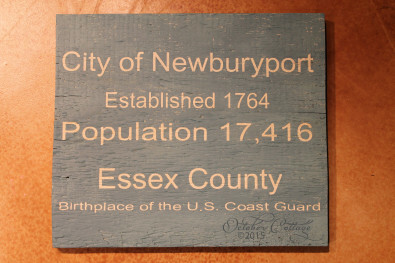 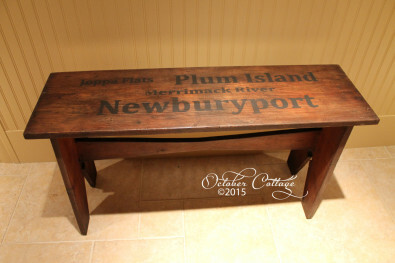 The wood was reclaimed from a Newburyport house built in 1750, hand-planed, and assembled into a solid and functional piece. 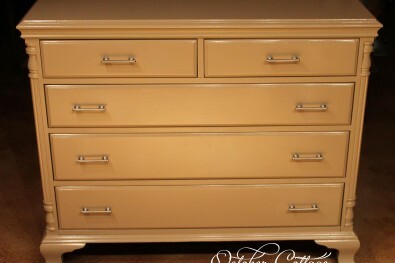 Susan's custom finish maintains the charm of the original wood while providing a uniquely smooth feel. 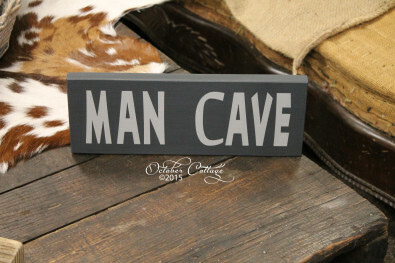 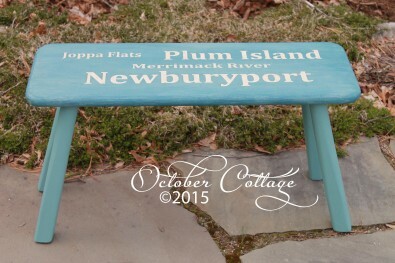 Benches of this type can be custom made to order in a variety of dimensions and with various leg details. 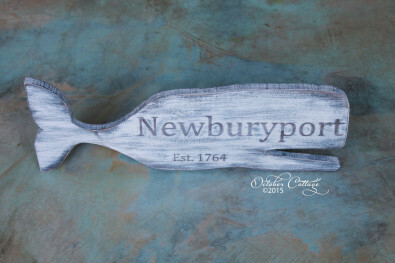 Look for upcoming projects with original 1750 square cut nails from the local blacksmith, reclaimed from the same source. 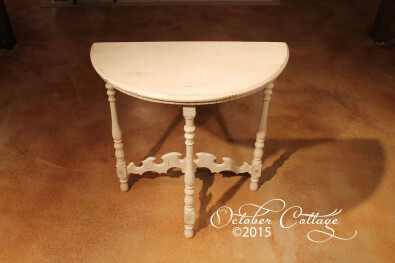 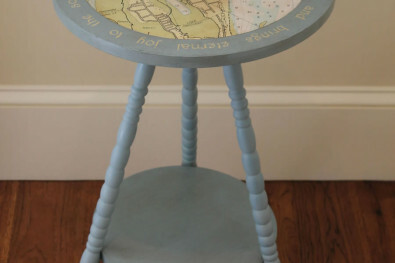 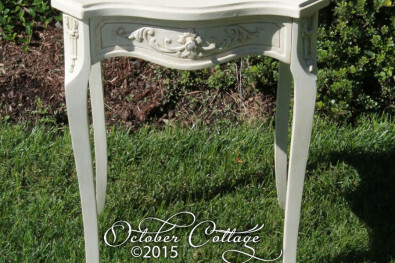 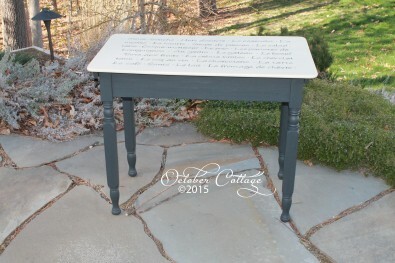 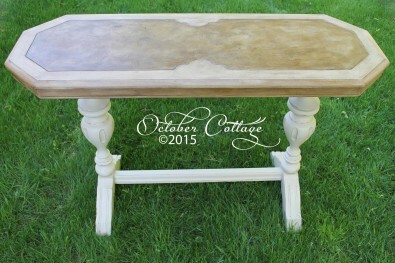 A unique console table with great details and an amazing finish! 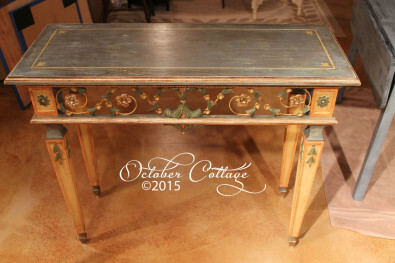 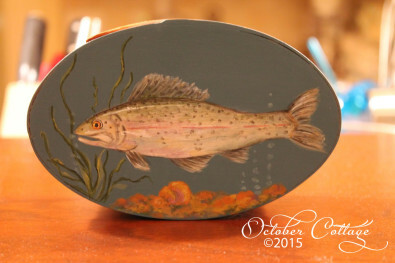 The beautiful finish on this piece is a work of art, and the result of many hours of design, color selection, and delicate brushwork by Susan. 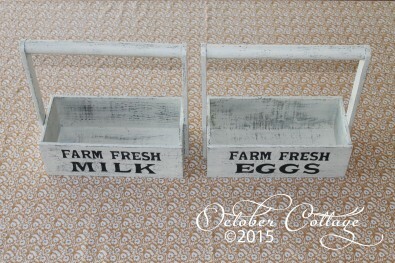 The basket provides a perfect complement, and the inside space is generous and functional! 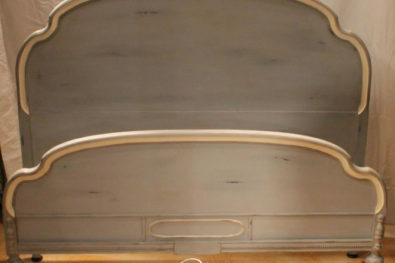 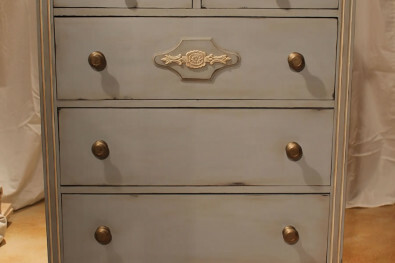 A unique hand-painted waterfall dresser in off-white and gold, which complements the original hardware. 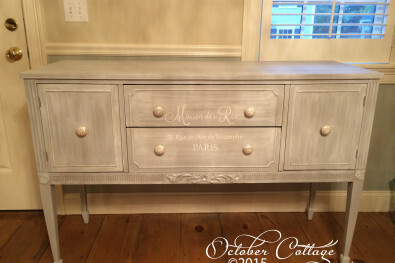 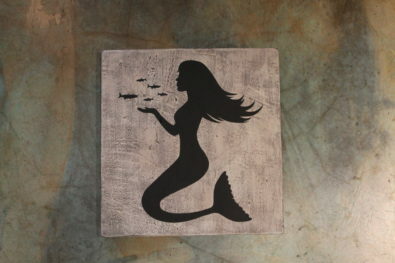 Each drawer has a beautiful Paris graphic. 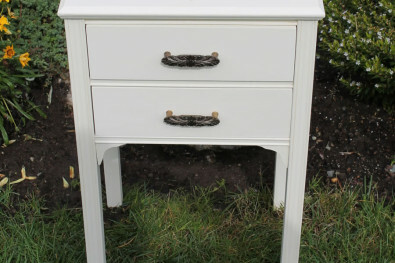 Swedish meets modern elegance dresser. 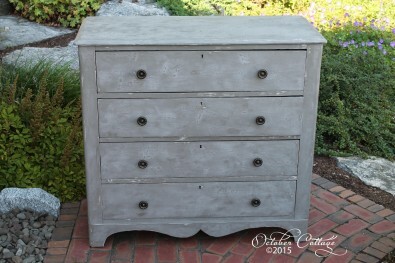 Susan's latest dresser provides a Swedish look with a modern elegance. 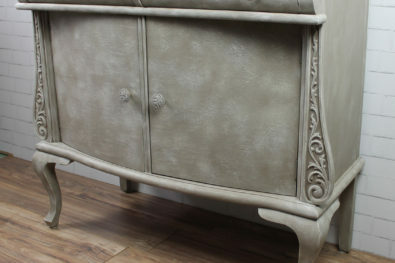 The textures and finish need to be seen in person to be fully appreciated! 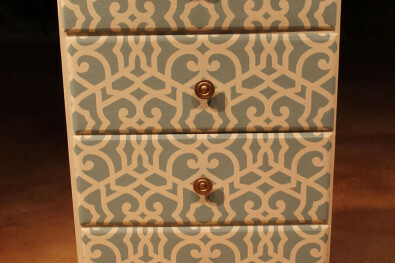 The glass knobs complement the look, and there are lots of drawers and space. 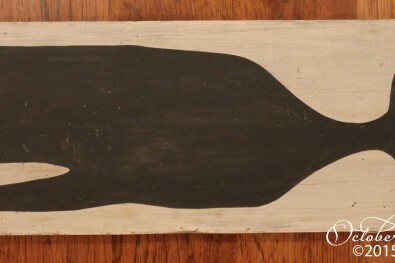 This one will not last long . 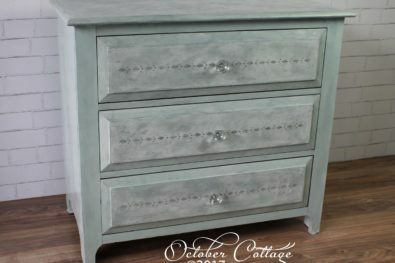 . .
Four drawer dresser with a unique finish. 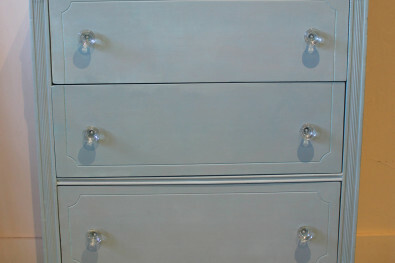 Four drawer chest with original hardware. 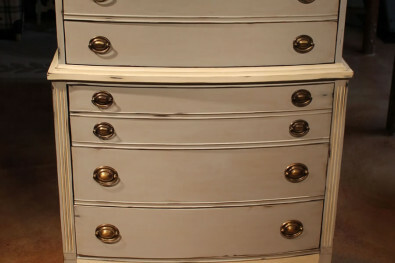 This hand-painted dresser features a beautiful finish complimented by glass knobs on the outside, and lots of storage on the inside. 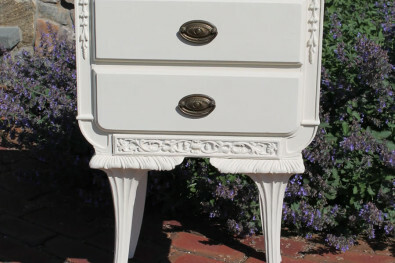 Fine detail provides the look you can only get from a vintage piece. 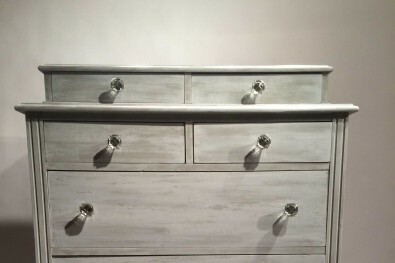 The dresser has been thoroughly cleaned and finished for a "like-new" look on the inside, and the drawers have a graphic which you will enjoy each time you use them. 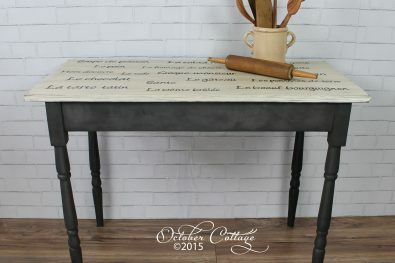 Hand-lettering is one of Susan's specialties, and this table was Gary's favorite so it has an honored place in his office. 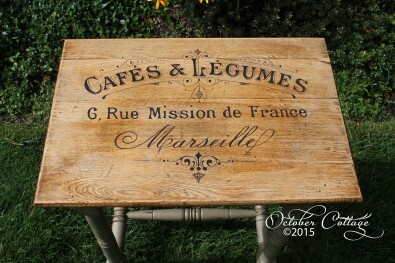 Hand painted table with a French menu of food. 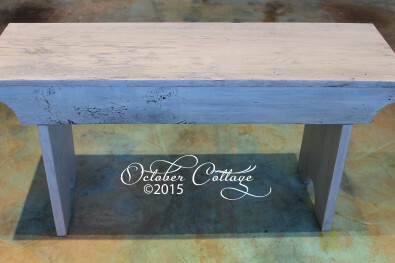 Click on the thumbnail to see our selection of benches. 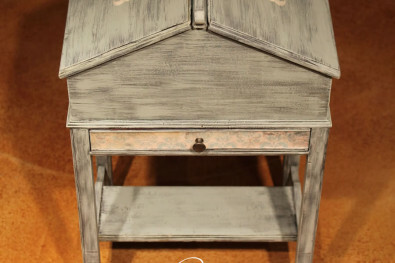 A kitchen table that takes advantage of your available space. 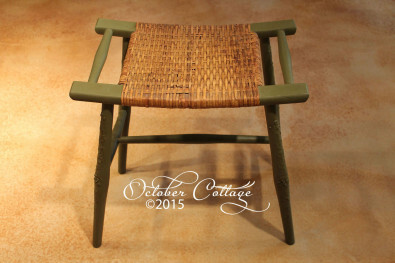 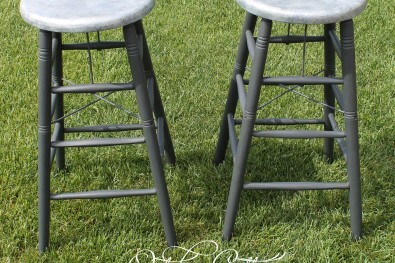 A unique green wicker stool with a curved seat. 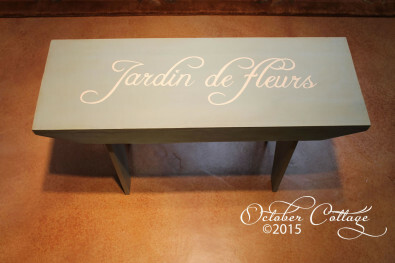 Subway art adorns this lovely bench. 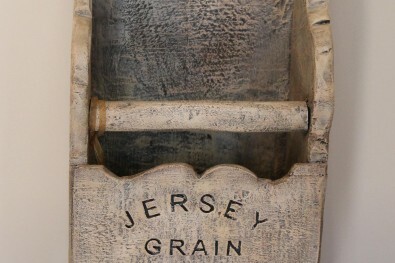 Vintage grain scoop with a unique finish. 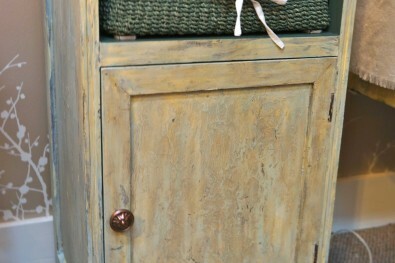 A unique and finely-finished storage cabinet.